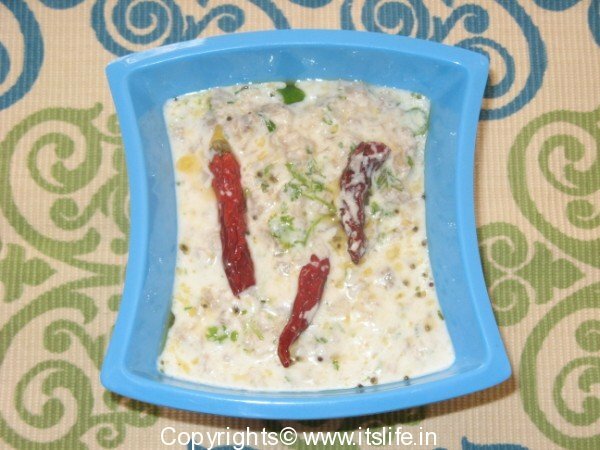 This cool recipe is prepared using Banana Stem and Curds. Remove the outer layer of the Banana Stem and chop the central portion finely. While chopping remove the fibers. Remove the pieces to a mixing bowl. 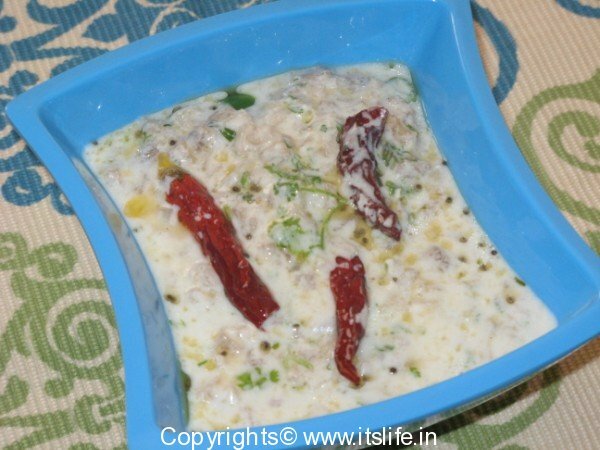 Add Curds, Coconut, Green Chilies, Coriander Leaves and Salt and mix well. Heat Oil, add Mustard Seeds and when they splutter add Uddinabele and when they turn pink add a pinch of Asafoetida and Red Chilies. Remove and pour over the Raitha and mix well.